Posted Friday, March 26th, 2010 by Robyn Warner. The average shelf life of a standard printer cartridge ranges between 18-24 months after manufacture. This is true for brand new ink and toner cartridges made by the original manufacturer of the printer as well as remanufactured or compatible cartridges made by third party vendors. The amount of time a cartridge can be sufficiently stored is contingent upon some other factors beyond when it was manufactured. If applicable, rotate the oldest cartridges to the front and the newest cartridges to the back to ensure no single cartridge stays on the shelf too long. Be sure to store the cartridge in a location that is cool and not overly exposed to air. If the temperature is too warm or too much air infiltrates the cartridge, the consistency of the ink or toner can be compromised, rendering it unusable. 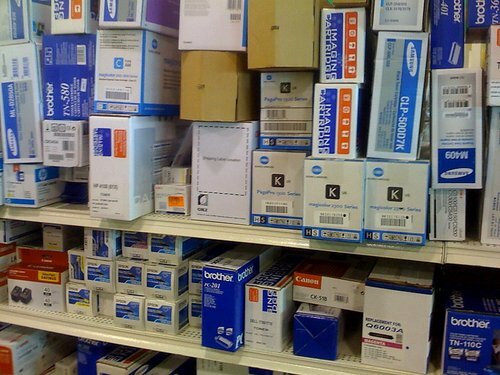 Ink cartridges: 40°F – 85°F. 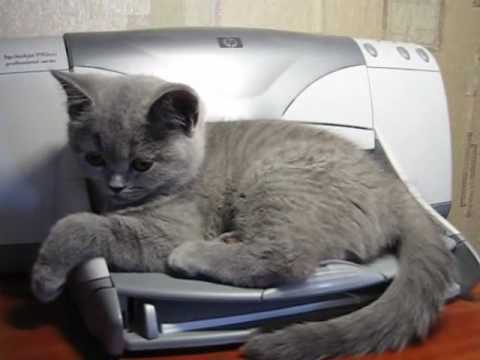 Having issues with your printer cartridge? There are different scenarios to look at when troubleshooting your printing issues, whether the printer never accepts the cartridge when it is installed or the cartridge works for a while but then malfunctions or start producing sub-par quality. Regardless of whether you use OEM cartridges or remanufactured cartridges made by third party vendors, problems occur occasionally. It is always possible that your printer or cartridge is defective, but you should try a few troubleshooting tactics before calling the manufacturer. Is the cartridge fully locked into place? When looking to purchase replacements for your printer cartridge, you may notice up to three different options for cartridges, all priced differently but with the same printer compatibility and page yield specifications. Compatible, Remanufactured and OEM are the three types of cartridges – at Ink Technologies we frequently get questions from customers asking what the differences are between them. In this blog, we hope to answer those questions as well as give you a little insight into the manufacturing process, environmental effects and the economical implications of each type of cartridge. In the late 1980’s, the brilliant minds behind Xerox office equipment began developing a color printing technology that would be very simple for users and produce high-quality colors on standard paper without the need for a cartridge. The end result was a solid ink printer, which is still a technology unique to Xerox. 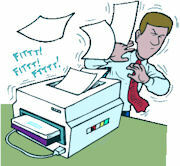 What started as an attempt to simplify color printing has become a way for offices and homes to also reduce waste. Laser and inkjet printers are the most commonly used machines in the world, generally because they are the most affordable upfront and replacement cartridges are inexpensive. 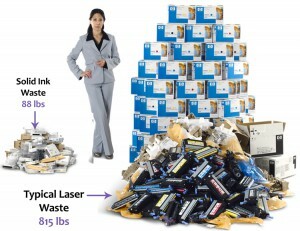 Any company or individual that is concerned about the environment, however, should look into using a solid ink printer, to help reduce their carbon footprint. How is Xerox Solid Ink Made? What is an Imaging Drum? A laser printer has many components that make up the technology system used to quickly generate documents that meet a professional standard. The rollers pull the paper through and the toner actually makes the images and lettering visible to the human eye, but it is the imaging drum that is the central piece in these highly advanced printers. 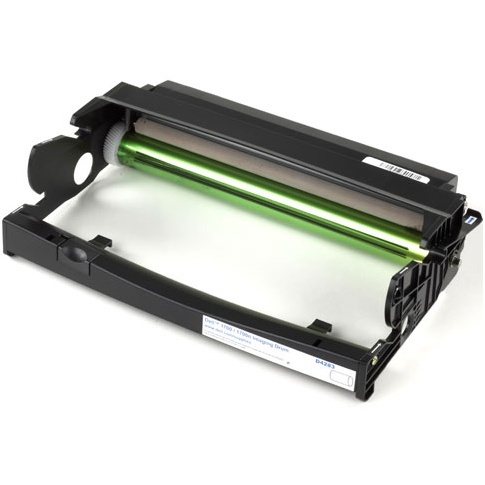 Also referred to as a drum unit and a photoreceptor assembly, the imaging drum is ultimately responsible for the transfer of printer toner and image or text to the paper. Initially, the drum receives a positive charge from the corona wire. The laser then writes on the drum, leaving a negative charge in the shape of the image or text that is being printed. The toner is attracted to this charge and clings to the imaging drum where the negative charge is. The rollers are then used to pull the paper through the machine, and the negative charge of the paper is stronger than that of the drum. 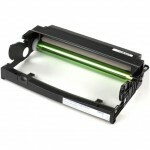 As a result, the toner is pulled from the drum to the paper, creating a precise document in an efficient matter of time. Most printers have separate slots for the drum and toner cartridge to be installed in to. Other units, like Brother printers require a drum and a Brother toner cartridge, but the two snap together and are installed into the printer as one assembly. 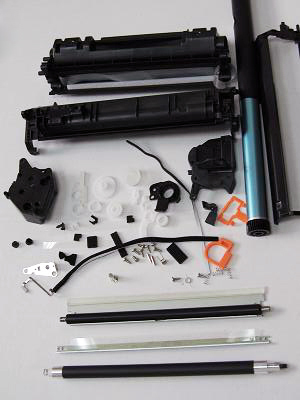 Some printers have toner cartridges that the drum is built into the cartridge and are replaced as one consumable. Be sure to understand which system your machine uses so you can be sure to purchase the right kind of replacements. 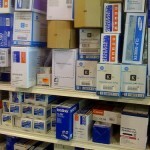 When shopping for toner cartridges, you may have heard the phrase “remanufactured” referring to certain products. You may have even heard stories of how remanufactured cartridges are of lower quality than genuine versions from the manufacturer. 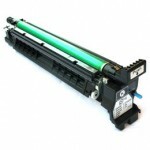 To put it simply, remanufactured toner cartridges are previously-used cartridges that are reconditioned, then refilled with fresh toner and sold for a more affordable price. The yield and resolution rendered by each remanufactured cartridge made by reputable companies will be equivalent to that of an OEM cartridge, with a satisfaction guaranteeto back it up.